Max Mara's Spring '19 collection was defined by creamy neutral shades - a color palette which is so versatile. 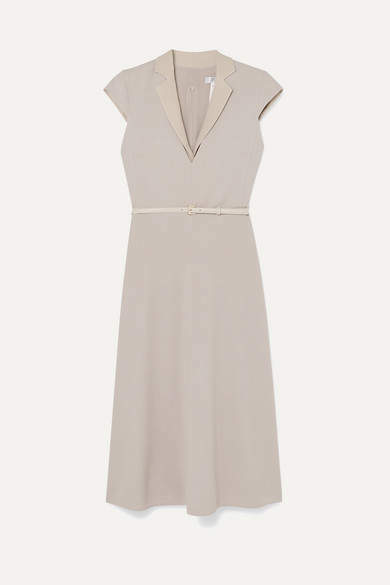 This midi dress has been made in Italy from stretch-wool that's cut to skim your curves. The retro cap sleeves are lightly padded and the neckline is trimmed with a silk-georgette collar. 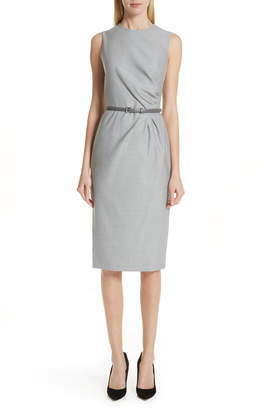 Use the detachable leather waist belt to define your frame and highlight the A-line skirt.